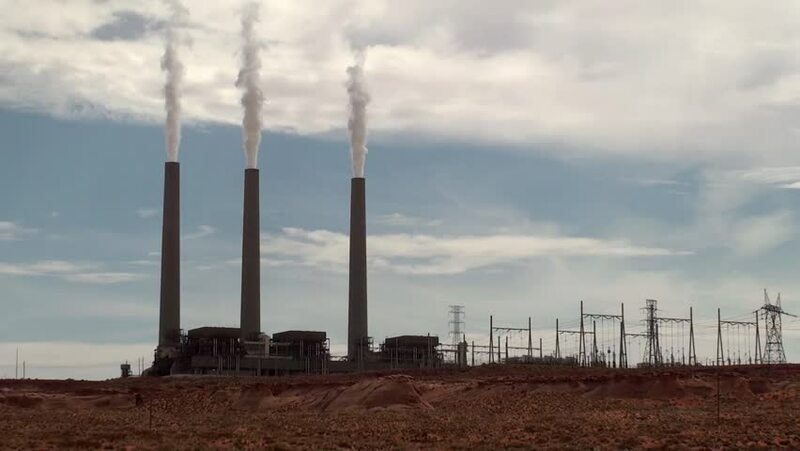 PAGE, ARIZONA - AUGUST 20: Navajo Generating Station. August 20, 2012 in Page, Arizona, USA. 4k00:09DUBLIN / IRELAND - MARCH 03 2019: Poolbeg power station in the harbour. hd00:11Factory chimney blowing pollution in environment. Industrial air pollution from smokestacks. Toxic smoke from chimney in industrial area. Industrial landscape with contaminated air. Pipes with smoke.